These little buggers are fast moving mobile cover, they don’t suffer negatives for moving and shooting heavy weapons and can be taken in units of three. Oh and they have plague weapons and count as daemons so you can buff them. They seem like an excellent choice to fill out the fast attack slot. 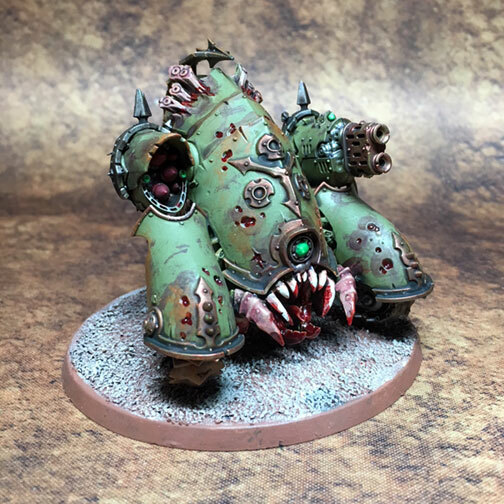 These are part of the ongoing Death Guard project I started last year. My client provide me with the models already assembled and wanted a pretty basic paint job on them. 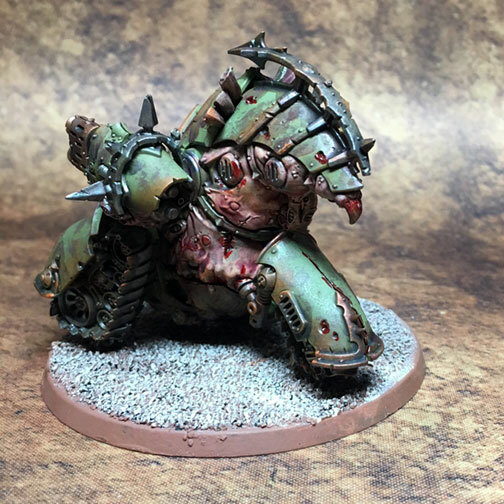 Once of the things I love about the current Death Guard line is it doesn’t take much effort to make them look amazing. 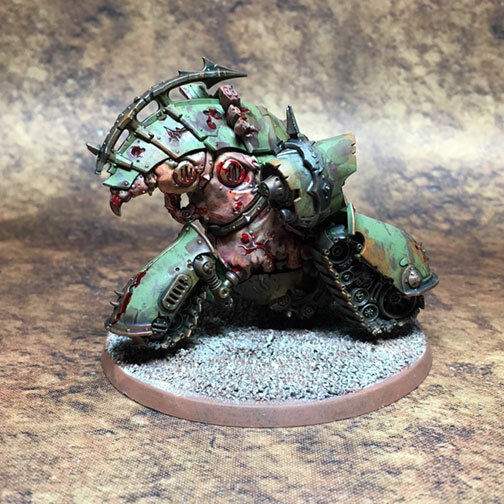 With a little extra work you can take them to the next level but the look great with even some simple rust effects and washes.